Lifetime’s hit fashion reality show is back, but this time with a twist. 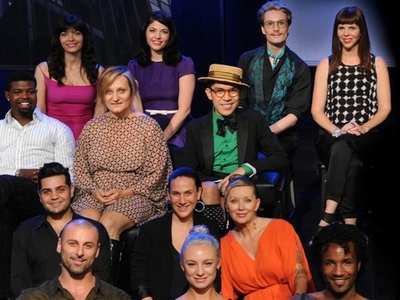 The all stars cast includes fan favorite and season eight runner-up, Mondo Guerra who lost, somewhat controversially, after showing his final collection at New York Fashion Week. Another returning contestant who’ll be sure to add some drama, is season one veteran Austin Scarlett. Other designers who didn’t make the cut first time around and will be coming back for more include: Anthony Williams and Mila Hermanovski (season seven), April Johnston and Michael Costello (season eight), Rami Kashou, Sweet P and Elisa Jimenez (season four), Gordana Gehlhausen (season six), Jerell Scott and Kenley Collins (season five), and Kara Janx (season two). With all-new challenges and an all new cast we can’t wait to see which all star makes the cut and which ones say auf wiedersehen! Which designer do you think has what it takes to win? Tell us in the comments below!